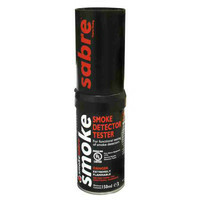 Functional checking is accomplished by introducing a smoke, or simulated smoke, stimulus from the protected area through the vents of a detector to the sensor (s). It is required by all national standards around the world and testing by electronic means that do not involve this test is not sufficient to comply. Sensitivity testing confirms whether the detector’s performance is within the acceptable parameters. Although some countries’ codes accept field sensitivity tests of smoke detectors by electronic means it can only be properly done by introducing a quantified source of smoke or surrogate smoke to the detector from the protected atmosphere. 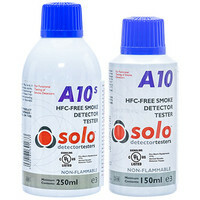 Replacement for discontinued Solo A3. 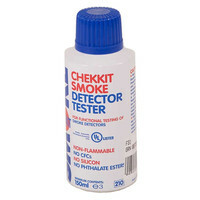 250ml aerosol detector smoke tester spray. 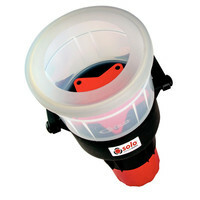 Designed for use with the Solo 330/332 dispensers. 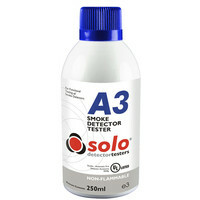 Non-flammable replacement for discontinued Solo A3. Refill pack of 6 Smoke-Sticks. Provides up to 3 hours of controllable smoke for specialist airflow and leak testing. 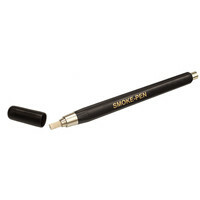 Kit containing 1 Smoke-Pen specially designed for easy use of the Smoke-Sticks. Comes with a refill pack of 6 Smoke-Sticks providing up to three hours of controllable smoke. ‘Auto-start’ – proximity sensor automatically initiates test. Flexible head – easy testing of hard-to-access detectors. 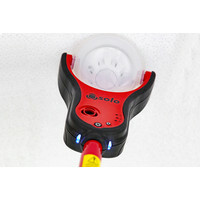 Compatible with Solo access poles. User replaceable consumables (no service requirement).